The Lord's Lass: I'm So Excited!!!!!!!!!!!!!!!!!!!!!! Ok, in case you didn't get it from the title and extra exclamation marks, I'm pretty much ecstatic right now!! So ecstatic, in fact, that I had no other option but to blog and tell you "all about it"!!!! that Mark just opened his own violin shop two minutes up the road from me!!! We're talking less than a mile!! A violin maker and restorer, do you know how exciting it is as a violinist and a violin teacher to have a guy I can recommend who lives two minutes from me?? Mama saw a sign up a few days ago that said simply "Violin Maker," and told me about it, knowing I would want to stop by and "scout out the place." Then, this evening, on our way home from the store, I asked her to show me, and she obligingly pulled into the gravel parking lot. There was Mark, taking out the recycling, and he meandered up to us as we turned around. Down went mama's window, and in a few minutes he was telling us all about his shop, his experience, etc. As he went back to his shop to get a few flyers and business cards for me, mama looked straight ahead and kept saying, "Mark...Mark...." as though she was trying to figure something out. "What's up mama?" I asked. "O - nothing. I'll tell you later." "Do you think he's the guy who used to work at Schuback's?" "Yes! That's exactly what I was wondering!" After Mark came back out, he mentioned the work he had done at Schuback's. Mama and I were thrilled!!! Hooray! Hooray! Do you know how cool this is? Do you understand? Or will you chalk it up to simply another weird, violin-teacher quirk? Save a flyer for me! I would sure love to hear you play. You should post a video. 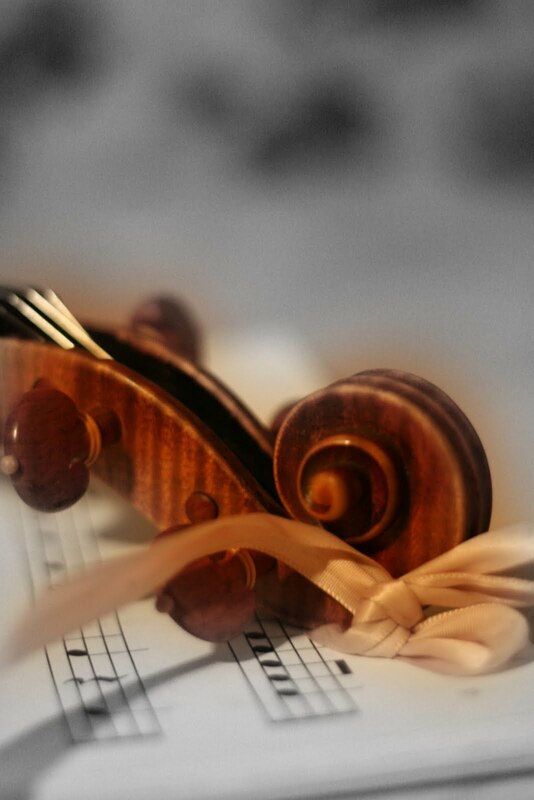 I have always loved the violin. I can understand your happiness and the delightful surprise.